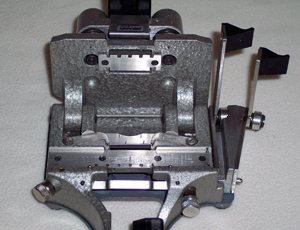 Where to Buy 16mm CIR Film Guillotine, Neutaper, or Rivas Editing Splicers for Sale? For years, movie editors have been using film splicers to physically cut and join film strips to create their motion picture stories. Even though digital editing computer systems currently dominate the industry, traditional editors still enjoy splicing their movie together in the classic way especially when it comes to 16mm independent movies and student films. Here you can find the best deals on mint condition CIR Guillotine, Neutaper, or Rivas edit tape splicers for picture and sound movie editing. Most of these film edit splicers are in 16mm format but some are available in 8mm and 35mm for cutting motion picture film. 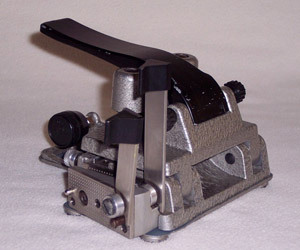 This 16 mm film splicer made by Neumade uses non perforated NP tape in rolls to splice together your film during editing. Pull the tape over the film, press the handle, and a perfect perforated splice is formed. Flip the film over to do the other side..and the splice is done. Does a straight cut on the frame line splice. 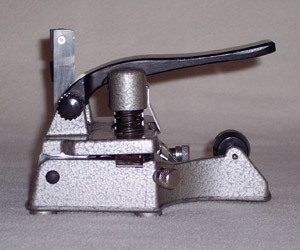 A very popular quality tape splicer for 16mm motion picture film. Mint condition Neumade movie splicers list over $600. 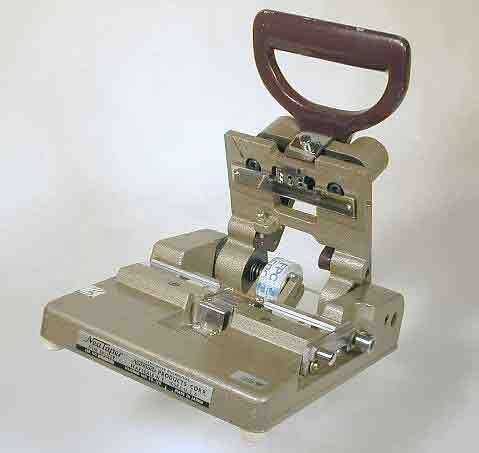 No other brand of 16mm guillotine film splicer comes close to the quality and ruggedness of the Neutaper. 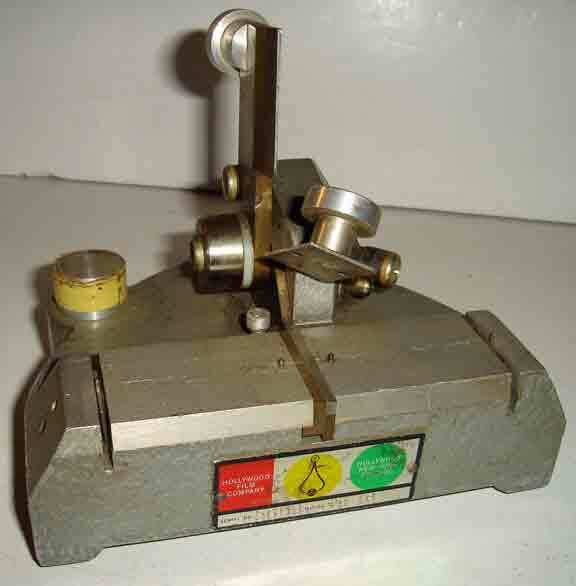 This 16SS model will also do standard 8mm film splicing. Splice the standard 8mm film as usual. This leaves a fold over tab. Then re-perf the 8mm holes using the Neutaper. A fast standard 8mm splice in 3 steps. If you are looking for a more affordable but quality made guillotine splicer, Leo Catozzo brand film splicers are a very good alternative. 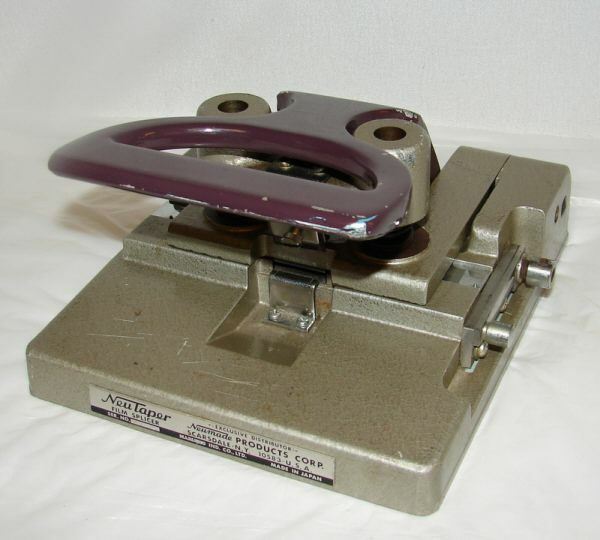 Authentic CIR Catozzo guillotine splicers are quality made in Italy and usually his trademark is stamped on the side the splicer. These splicers are double cutters meaning they have two blades: a straight blade for picture film and diagonal one for sound mag film. 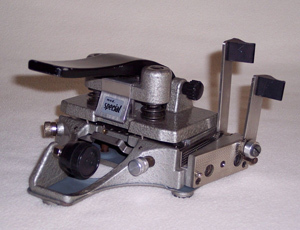 These brands of film splicers are typically easy to find on online auctions. The Rivas is a bit harder to find. This editing tool is an alternative choice for some film editors. It was originally invented by sound engineer Carlos Rivas during the 1950s to splice magnetic sound film. Today, some film editors use the Rivas to cut and splice together their picture film. Unlike the guillotine splicer, you do not have to worry about accidentally punching sprocket holes if you misalign your film. However, since the Rivas doesn't punch sprocket holes, this tool requires a bit more dexterity because you have to apply perforated rolls of splice tape correctly. Or use individual Kodak splice tapes which are easy to apply but gets quite expensive compared to tape rolls. 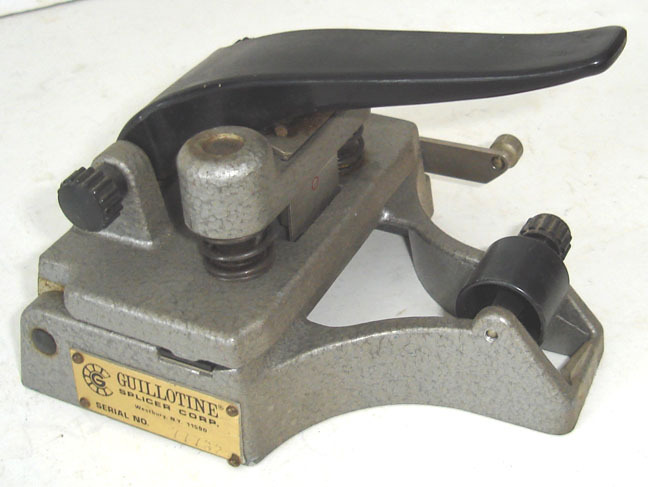 If you have clumsy fingers or a beginner, try the guillotine splicer instead.